The crochet hook in steel from KnitPro. The needle is available in sizes from 0.5-1.75 mm. Needles of this size allow you to crochet very small and dense meshes, and are therefore the most useful for small patterns. 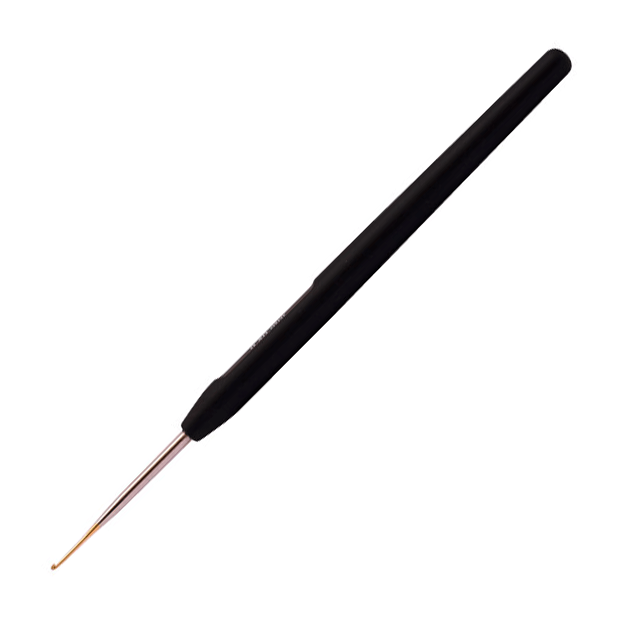 The crochet hook's hook is gold-plated, making it easy to see the yarn when crocheting the smaller patterns that these needles are suitable for. The steel material makes it possible to make needles in very small sizes that are strong and durable at the same time.